Learning to surf is hard on the knees. Well, strictly speaking you aren’t supposed to use your knees, so that should serve as some indication of what kind of a surfer I turned out to be. I had always wanted to learn how to surf. Born and raised in Northland, New Zealand, I’ve never been far from the ocean. Even growing up, I was never afraid of big waves, readily throwing myself at them at every opportunity. But I never wanted to learn to surf back home in New Zealand. Like skiing, which I learnt to do in the Swiss Alps, I always dreamed of learning to master the mystic art of wave riding in some distant land (or ocean), preferably on an exotic sandy beach that I would have to travel a great distance to find. So my girlfriend and I embarked on a summer surf holiday to Spain, flying first to the beautiful beachside city of Biarritz in France before travelling by train to San Sebastian – otherwise known as Donostia – in the heart of Spain’s Basque Country. 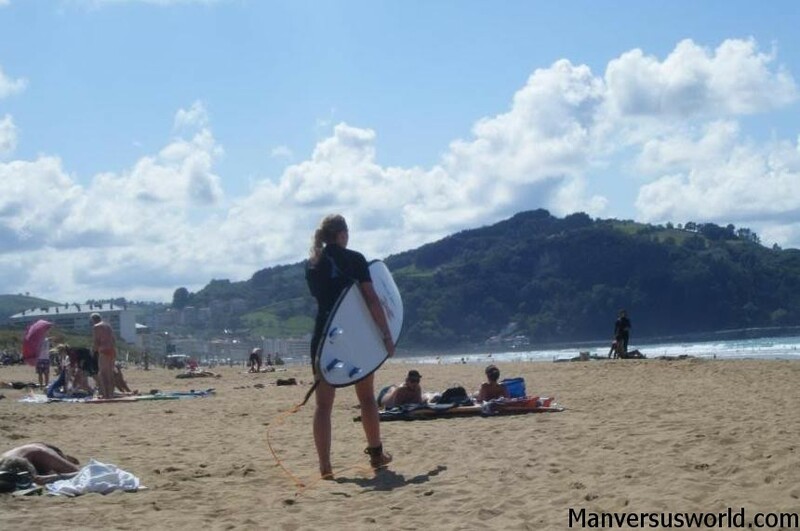 We were picked up in San Sebastian and taken to a wicked little surf camp in Zarautz – the region’s most famous surf beach, located roughly 15km from San Sebastian. 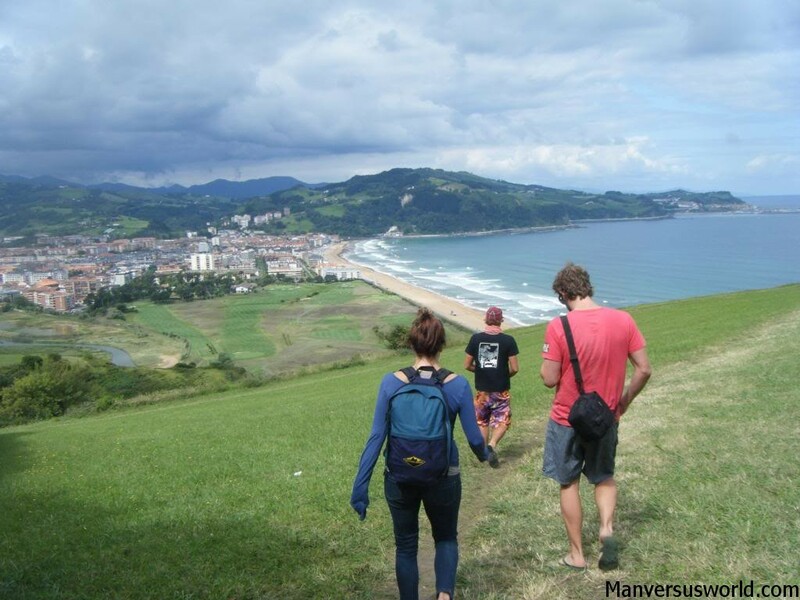 Spanning 2.5km, Zarautz is the longest stretch of beach in Basque Country and is renowned for its consistent surf for most skills levels. It was here that for two days we intended to hang ten, hang loose or whatever surfing cliché you prefer. Now, I always fancied myself as a pretty good body-surfer. With spending a lot of time in the ocean comes an ability to be able to read the waves, to position one’s self in prime position to be able to catch the wave a split second before it breaks. Suffice it to say, I was feeling pretty confident. Also suffice it to say, I was kidding myself. 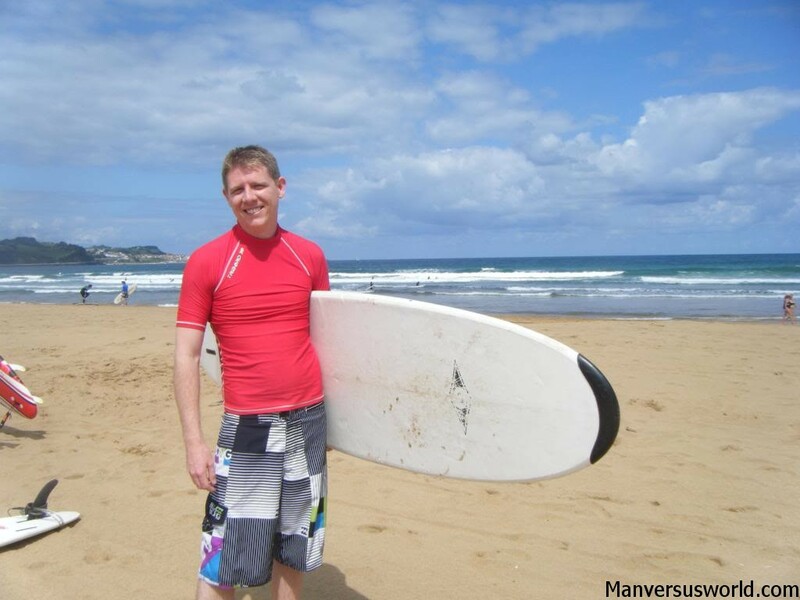 After lessons on the beach, we dragged our surprisingly heavy boards out into the ocean, where I immediately banished any thoughts of ever becoming a pro surfer. I was terrible. I didn’t have too much trouble catching a wave but standing up on my board and actually riding it was another matter entirely. Time and time again I would face plant and then have to drag my increasingly exhausted body back out past the breakers. But I did eventually get up. True, no-one ever saw me stand up on my surf board but it did happen. Honestly, for something like one and a half seconds I was standing on the crest of a wave. Surfing.